The Federal Trade Commission unleashed a detailed and damning false advertising lawsuit against Volkswagen USA yesterday. And while specific ads are painstakingly detailed in the suit, the agencies that made those ads are unlikely to find themselves in the crosshairs. Between 2008 and 2015, Volkswagen produced ads that grossly understated the environmental impact of thousands of Volkswagen and Audi vehicles "which have contributed—and will continue to contribute—to environmental and human health harms including smog, acid rain, water quality deterioration, childhood asthma, adult respiratory ailments, and premature death," said the 17-page suit. The ads ran in print, on TV and in social media. Several creative, social and media agencies were responsible for creating and placing those ads, including Interpublic Group’s Deutsch LA, Venables Bell & Partners and WPP’s MediaCom. But not one of those companies is named as a defendant in the lawsuit. While ad agencies are rarely indicted in false advertising suits, the circumstances of the VW scandal are particularly favorable to the automaker’s agency partners. "As the story has been reported, it doesn’t look like a failure of due care by the ad agency," said Rebecca Tushnet, a professor at Georgetown Law who teaches intellectual property, advertising law and First Amendment law. Volkswagen engineers fitted "clean diesel" cars with "defeat devices" that fooled emissions tests. In actuality, emissions of harmful byproducts like nitrogen oxides were up to 4,000% higher than allowed by law. "In general, agencies have to take reasonable steps to make sure they’re not conveying falsehoods," Tushnet said. "Here, where the information was entirely within Volkswagen’s control and the software was deliberately programmed to give bad results, I don’t think the ad agency was under any duty to say ‘Hey, you didn’t by any chance fake your results, did you?’"
According to the suit, VW lied to consumers by asserting that its vehicles were "clean." 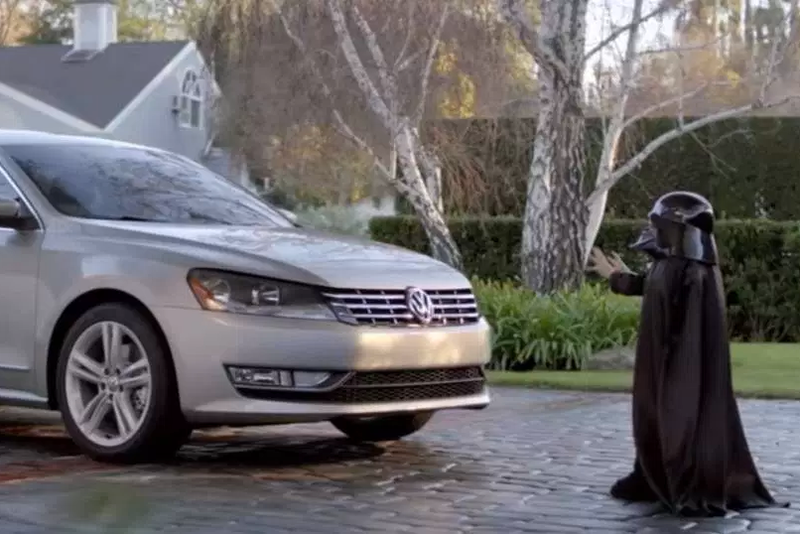 The suit cites roughly 10 ads, including a 2010 Super Bowl ad from VB&P for the Audi A3 TDI clean diesel. The suit also calls out VW’s tagline "Diesel – It’s No Longer a Dirty Word," a campaign still featured prominently on VB&P’s website. VW also claimed its cars had low emissions, exemplified in the suit by a 2015 digital spot by Deutsch LA featuring three "old wives." Deutsch LA declined to comment about the lawsuit, as did CP+B, VW’s creative agency from 2005 to 2009. VW’s media agency, MediaCom, didn’t immediately return requests for comment, nor did its PR firm, Edelman, or its social media agency of record, ISL. Volkswagen USA has until April 21 to submit a proposal for "fixing" the more than half a million vehicles with defeat devices that it sold in the U.S. Though the agencies themselves won’t bear any responsibility for the misleading ads, Volkswagen is facing a $46 billion suit from the Department of Justice, in addition to any fines or penalties levied by the judge in this case. That could put a substantial dent in the automotive giant’s coffers and could shrink ad budgets. Though if VW’s recent work is any indication, it may view advertising as the key to its post-false advertising image rehabilitation. 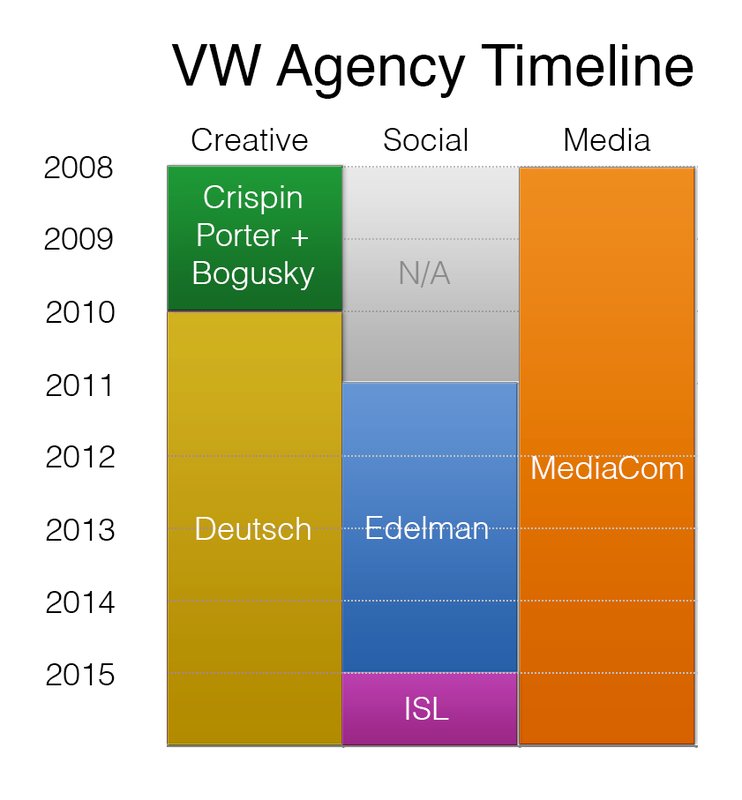 The chart below shows which agencies worked with VW during the years covered by the suit.